Working in partnership with the industry’s leading sign makers and materials manufacturers to meet the ever present demands of performance, aesthetics and eco-friendliness, our latest introduction is NovaWeld SignFix 8. 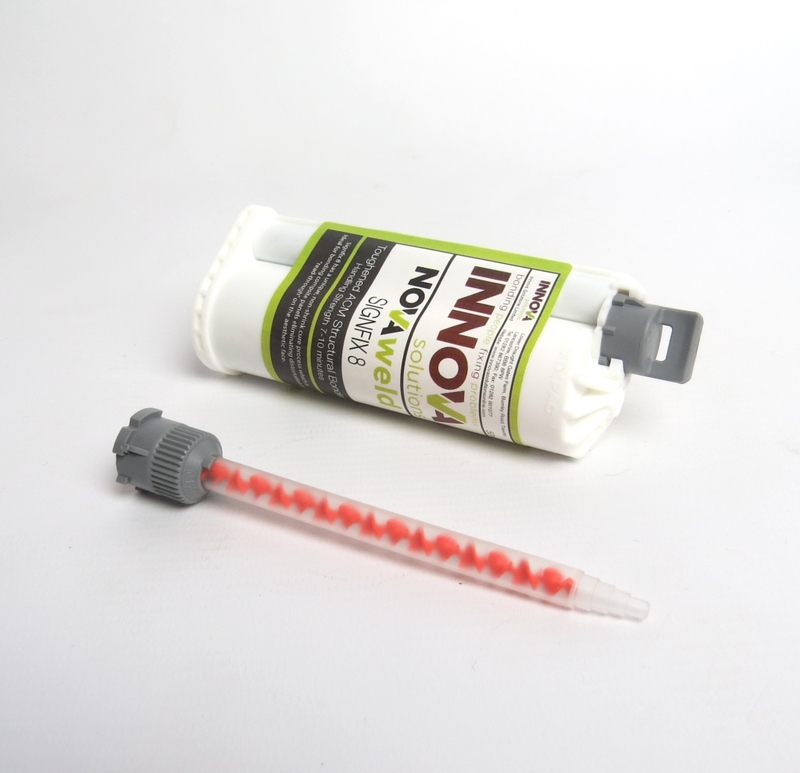 NovaWeld SignFix 8 is a non-flammable, low odour, low shrinkage 2-part adhesive that will bond nylon, acrylic locators and metal fasteners securely and reliably to ACM panels without distortion or read through on the front face. The product has excellent impact and peel resistance and has been designed to bond the full range of locators and fasteners, whilst ensuring that the finished sign or letter looks as designed when installed. This, coupled with the fact that the product is produced using low odour, non-carcinogenic monomers, further reinforces our drive towards more eco-friendly products. or contact us at enquiries@innovasolutions.co.uk to discuss any specific requirements.